Why did Frosty the Snowman ask for a divorce? Because his wife was a total flake. 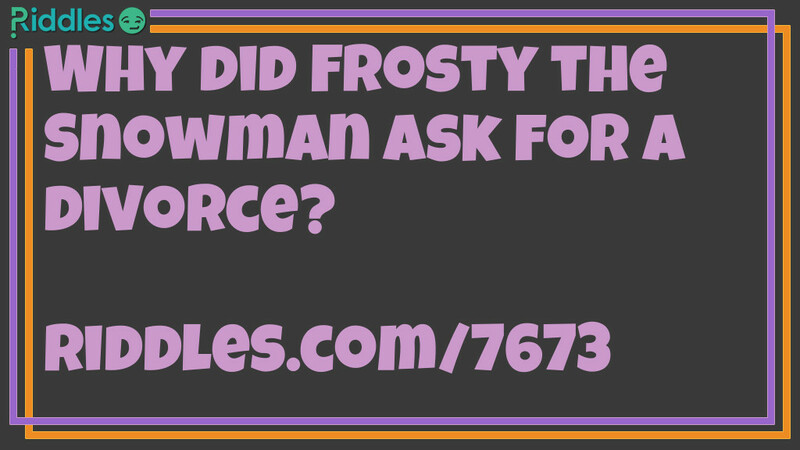 Frosty Divorce Riddle Riddle Meme with riddle and answer page link.